The Turkish Prime Minister has demanded €6bn from the EU and a one for one exchange of illegal immigrants for legal ones in exchange for making some efforts to stop the mass invasion of Europe from Africa, the Middle East and beyond. Turkey has already had €3bn from the EU in exchange for cracking down on illegal immigration but they've done pretty much nothing in return. What are they going to do with €6bn? Well, they say they'll take back unregistered illegal immigrants who've made it to Greece and replace them with registered illegal immigrants. 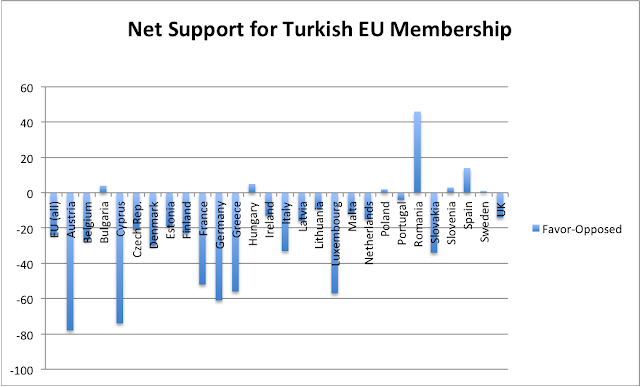 In addition to the €6bn bung, Turkey also wants fast-tracked EU membership, giving it access to eye-watering sums of money and allowing 77m Turks to live and work in EU countries including the UK.